A sweet glam for the office or the weekends. 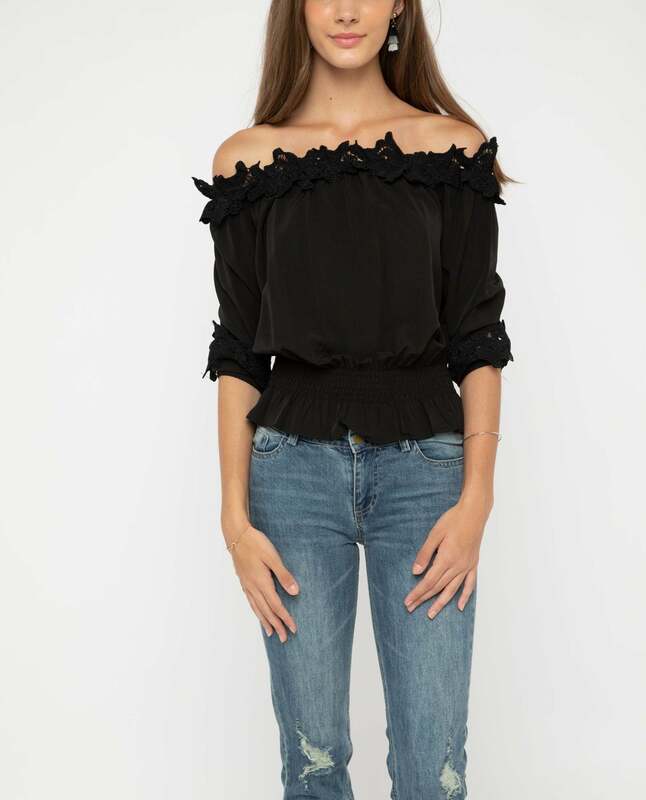 The ruffled lace hems along the cuff and neckline add femininity and chic style to the regular off shoulder. Pair on a bandage skirt for work, or switch to a pair of jeans for an afternoon in the park. This top packs infinite style and versatility depending on the day you have.